Forrest W. Breyfogle III joined iSixSigma 11 years, 3 months ago. Forrest Breyfogle is a Professional Engineer and ASQ Fellow who founded Smarter Solutions in 1992. As a management thought leader and innovator, he has completed a five-book set that provides radical management advancements in the utilization and integration of scorecards, strategic planning, and process improvement. The first book, The Integrated Enterprise Excellence System: An Enhanced, Unified Approach to Balanced Scorecards, Strategic Planning, and Business Improvement, introduces new perspectives on what to measure and report; when and how to report it; how to interpret the results; and how to use the results to establish goals, prioritize work efforts, and continuously enhance organizational focus and success. The system helps organizations improve their bottom-line and competitiveness through the integration of analytics with innovation. An additional three-volume series, Integrated Enterprise Excellence: Going Beyond Lean Six Sigma and the Balanced Scorecard, provides further elaboration on the shortcomings of traditional systems and the details of an Integrated Enterprise Excellence (IEE) implementation. This series of volumes describes IEEs set of management techniques that enhance an organizations measurement and improvement system to increase predictable and sustainable bottom-line results. The system embeds a set of best practices derived from the strengths of past systems, applying structured metrics and a no-nonsense roadmap to initiate process improvement and achieve substantial benefits. IEE takes Lean Six Sigma and the balanced scorecard to the next level in the pursuit of enterprise excellence. The final book in the set, Lean Six Sigma Project Execution Guide, provides a detailed roadmap for process improvement project execution, which truly integrates Lean and Six Sigma tools. Mr. Breyfogle was named Quality Professional of the Year for 2011 by Quality Magazine and was awarded in 2012 alumni of the year by Missouri University of Science and Technology. He also received the prestigious Crosby Medal from the American Society for Quality (ASQ) in 2004 for an earlier book, Implementing Six Sigma (second edition). He has served on the Board of Advisors for the University of Texas Center for Performance Excellence. Mr. Breyfogle began his career with IBM in development and later transferred to the product test organization. Within these organizations he became very interested in the benefits derived from the wise use of statistical techniques. From 1980 to 1992 he served IBM in applying Six Sigma methodology” to testing, development, manufacturing, and service organizations. Mr. Breyfogle has conducted numerous Lean Six Sigma workshop sessions as well as Master Black Belt, Black Belt, Green Belt, Champion, and Executive training sessions throughout the world. 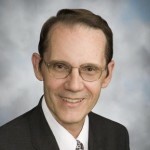 He has coached an array of individuals and organizations on the wise application of Lean and Six Sigma techniques. Smarter Solutions, Inc. has had the honor of serving a distinguished group of Fortune 100 clients and many others in a wide variety of industries. Mr. Breyfogle has authored or co-authored thirteen books, published over 150 technical articles for a wide range of publications, and has been interviewed by television, radio, and publication editors about managing the dynamics of organizations and the application of all forms of enterprise improvement methodologies. Mr. Breyfogle has an MSME degree from the University of Texas and a BSME from the University of Missouri at Rolla.